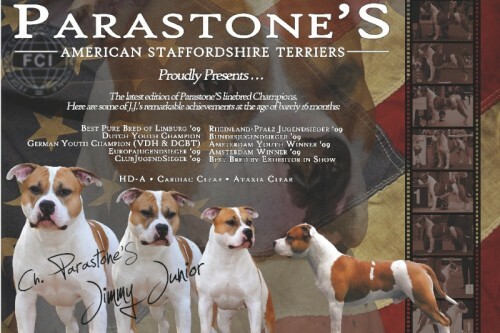 the American Staffordshire Terrier Club Holland (ASTCH) announced their official Top Ranking. This time J.J. took the honor, despite his young age and incomplete show year. It goes without saying that we are extremely proud for having accomplished the title “Best AmStaff” for the fifth time, especially because this was achieved by 5 different Parastone’S AmStaff’s.